These days, even first-class, on commercial airlines, is less than desirable. In today’s post, we spill the beans on the most popular international private jet destinations. Fly by private jet to Davos, Switzerland. 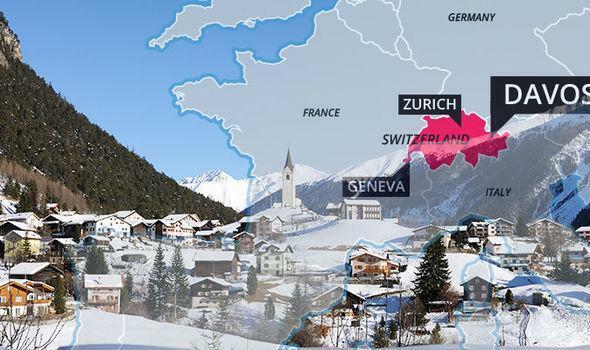 Davos, Switzerland: Davos is Europe’s highest city; however, it is probably more well-known for hosting the annual Davos event, the World Economic Forum. This event attracts economists, business and intellectual leaders, politicians, and even a few celebrities but is invite only to its 2,500 annual attendees. Not invited but still want the experience? You can still be one of the other 11,000 visitors to visit Davos for the World Economic Forum but you’d better book early because the place to be is the Davos Platz and the 126 rooms at the Steigenberger Grandhotel Belvédère book up quickly. Munich, Germany: Got Beer? Millions of beer lovers migrate to Munich for Oktoberfest. It isn’t easy to fly to Munich commercially so the amount of private jets that flock to Oktoberfest is somewhat of a given. Want to be one of those who attend this year? It runs from September 22, 2018 to October 7th, 2018. For more information about Oktoberfest, visit: Oktoberfest 2018 To book a private jet, we are certainly here for you. Email us! Nassau, Bahamas: People love the Bahamas! There’s no other way to say it! Nassau is a tropical destination that offers discerning travelers relaxation and pampering. Popular destinations include Baha Mar, Graycliff Hotel and Restaurant, The Island House, The Ocean Club, and Paradise Island (The Atlantis). Monte Carlo, Monaco: Where do we begin? Of course we’ve all heard of the Monaco Grand Pris but Monte Carlo is so much more. The stunning coastline is second to none! The culture boasts everything luxury travelers could dream of. The yachts, the culture, the people… no trip to Monte Carlo could ever be wrong! Art Basel, Switzerland: It is almost as if you cannot be a frequent traveler by private jet and not appreciate art so it is only natural that private jet travelers flock to Art Basel. What has been come to be known as “the annual family meeting of the art world” to insiders is a must see for anyone who appreciates high-quality contemporary art. Nice, France: The single most traveled private jet route is between Moscow, Russia and Nice, France but another route worthy of mention is New York and Nice. In fact, travel by private jet between Nice and New York is the fastest growing route, according to global real estate consultant giant, Knight Frank. Dubai, UAE: Dubai is a fast-growing city known for business, trade, and, of course, luxury! Dubai attracts luxury travelers for both personal and business reasons, as Dubai is almost the epitome of elegance when we think of popular destinations. Whether your forte is commerce or high-class hotels, the decadent food is guaranteed to compliment your desires. Dubai is growing quickly and holds the position of third largest private jet market in the Middle East (plus the Middle East is the third largest market in the world).